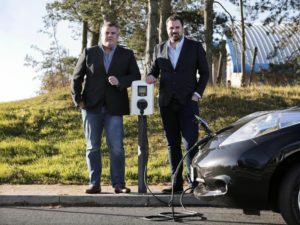 North East independent EV charging installer Elmtronics has opened its third office in the UK as it pushes ahead with growth plans. The firm, which installs charging stations for businesses and the public sector, was formed in 2014 and has its headquarters in County Durham with an existing office near Heathrow Airport. The new premises, based in Almondsbury, Bristol, comes after the company’s announcement of a three-year growth plan to create 30 new jobs throughout the UK, largely within the North East. The firm is also planning to move into the residential charging market by March this year.